Leading SAFe 4.5 in Adelaide Introduction One of Australia?s largest cities, Adelaide is famous for many landmarks that include its international cricket stadium and its cathedral. The city is a centre of Australia?s defence industry and is an important contributor to the country?s economy. Take part in the Scaled Agile Framework Training in Adelaide and enjoy KnowledgeHut?s unique cutting edge platform. About the Course A course that helps participants introduce Lean and Agile methods across various levels of an enterprise to maintain, the Scaled Agile Framework certification in Adelaide will help you add value to any organization you are part of. In the endeavour to get team members to embrace the principles of Agile, the role of a Certified SAFe 4.5 Agilist is very important. The Scaled Agile Framework training in Adelaide is a 2 day e-learning programme that will help you get the required certification to guide your team into an Agile framework. The Scaled Agile Framework certification in Adelaide begins with an introduction to the Scaled Agile Framework and you will be introduced to Lean and Agile values. 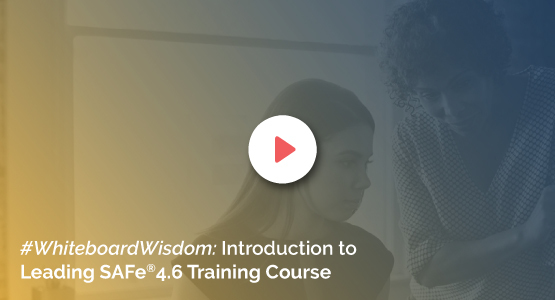 Understanding SAFe 4.5 principles is an important part of these online classes and as the course progresses you will learn about implementing the Agile Release Train and PI Planning. By the beginning of the second day of this online program, participants are taught lessons on executing and releasing value and how to build an Agile portfolio. By the end of the training our instructors will impart knowledge on leading the Lean-Agile Enterprise. The KnowledgeHut Advantage Benefits of the Leading SAFe 4.5 Certification Training in Adelaide include the ability to execute and track the progress of Agile in a program. Participants will gain an important skill set where they can explain and promote the use of SAFe 4.5 and at the end of the workshop you will be ready to attend the SAFe 4.5 Agilist certification exam. With a presence in over 70 countries, KnowledgeHut has been delivering high quality professional courses using a cutting edge learning platform that combines a live classroom atmosphere with exclusive education material. The price of the Leading SAFe 4.5 Online Course includes the fees for the SAFe 4.5 Agilist exam and participants also get a one year membership with Scaled Agile. The course is designed for executives, change agents (coaches), development/QA/program managers and others participating in a SAFe 4.5 rollout.